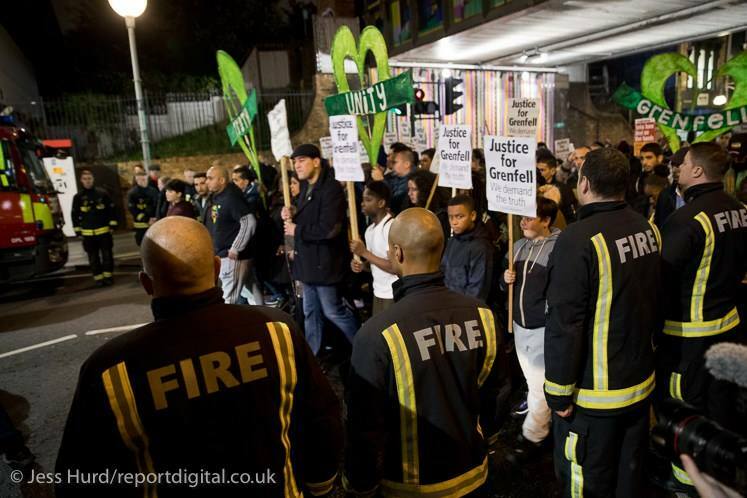 JUSTICE4GRENFELL and FBU call on people from around Britain who demand justice for Grenfell to join a national solidarity march on June 16th 2018. One year on and after 72 people have died and 70 injured in the Grenfell Tower fire the government leaves behind a trail of broken promises. We need to redouble our efforts to achieve Justice for Grenfell and decent, secure, truly affordable and safe Homes for All. That requires political action to scrap the Housing and Planning Act, control rents in the private sector and invest in existing and new/reclaimed council housing. To achieve this we need to unite as tenants and housing activists, trade unions and politicians who support our aims, from all parts of the country, working together to expose, highlight and challenge the housing crisis. The Government estimates Numbers sleeping rough sleepers in England rose 15% in 2016-17 and 169% from 2010. (MHLGC figures released 25.01.18). These are an underestimate and exclude sofa-surfers, those in temporary, unfit and otherwise insecure housing. Of these 2.48% (5,380) were built for ‘social rent’. 1,840 homes were built by local authorities (LA) in England 2016-17. Housing associations have 47,000 fewer properties let at social rent in 2017 compared to 2012. The biggest loss is homes shifted to ‘Affordable’ rent tenancies: 102,000 HA lettings have been converted so far. 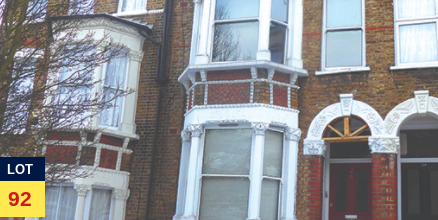 The lack of affordable and social housing is directly trapping families in poverty – 90% of low income private renters face a shortfall between their housing benefit and their rent. Pay to Stay will not be imposed on council tenants. Sell-off of “higher value” empty council homes is suspended for two years. Over-priced Starter Homes targets on new developments dropped. Some of the changes to the planning system delayed or dropped. Local Planning Authorities’ register of “brownfield land” no longer has to contain ALL the brownfield land. Some local authorities are only including large sites which already have planning permission. The requirement to grant “Permission in Principle” to all sites on the Brownfield Register has also been scrapped. Plans to force local authorities to privatise their development control functions through competition with private providers, have not progressed beyond pilot schemes. The campaign to demand ballots on estates threatened with demolition or large-scale redevelopment is continuing to grow. Important concessions have been won in London, but these need to be increased and applied everywhere. Our demands for decent, secure homes and rent control is shared by working class communities around the world. 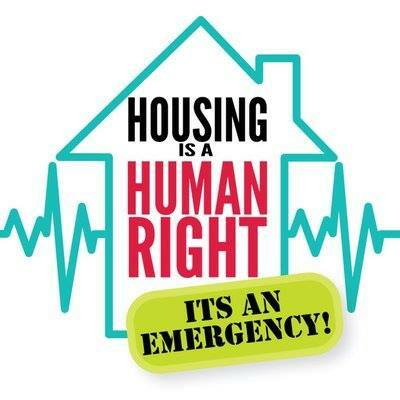 People from all over Ireland are going to Dublin on 7th April to protest against the country’s growing housing emergency. 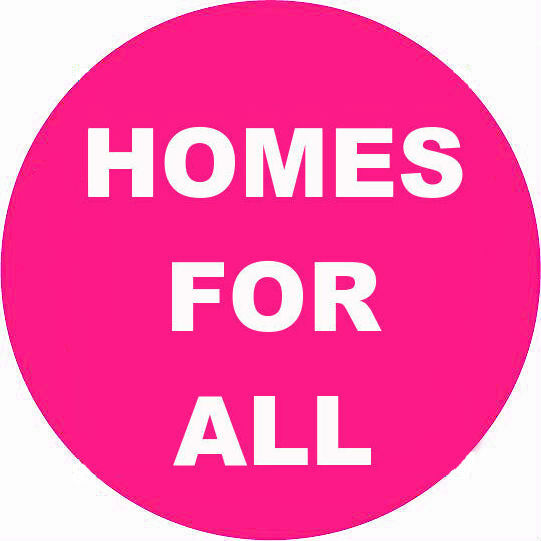 Homes for All, Axe The Housing Act has agreed to hold a solidarity protest outside the Irish Embassy in London at the same time. Join us in supporting and building a protest at Savills auction of social housing in London this month. A vast number of the ‘lots’ being auctioned off to the highest bidder are former social housing homes – being sold off by councils and housing associations in the interest of making money in lieu of housing people who need affordable, secure homes. Protest scheduled for Monday 26th March, meeting from 8am outside the auction itself at the Marriot Hotel Grosvenor Square, London W1K 6JP. 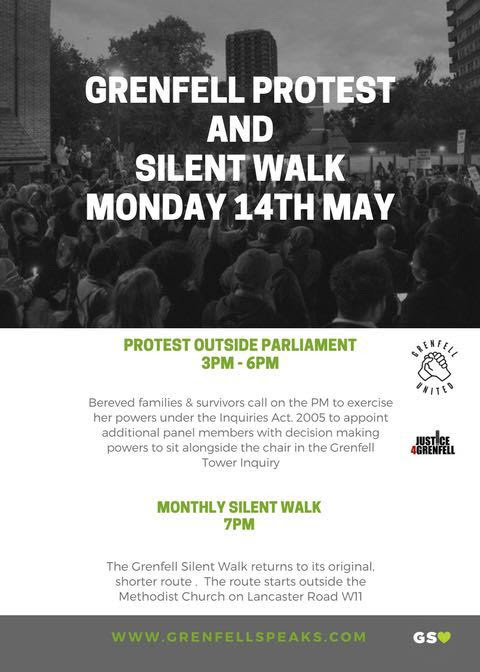 Please join and support the next Grenfell silent marches. to meet all the new groups and campaigns. 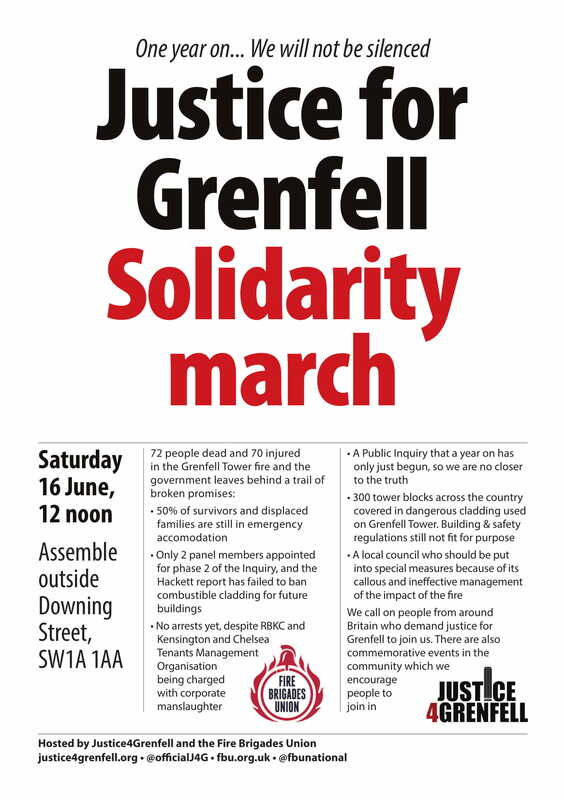 We are demanding action for Grenfell and on fire safety, new council housing, stopping demolition, rent controls, Universal Credit and scrapping the 2016 Housing and Planning Act. Ministers’ promises about Grenfell, about new council homes, private renters’ rights and action on safety are proving hollow and we are part of growing grassroots movement demanding action. As part of the solution to the London housing crisis, as Mayor Sadiq Khan promised, is the need for new council housing and social rent, but the Mayor’s current plan includes nothing. We want a ballot before any estate demolition. We want council homes built on former Holloway and other prison sites. We want a campaign for full funding of all fire safety measures as ministers’ promised. Let us know about housing campaigns in your local area and let’s continue our fight into 2018 stronger than ever. To demand permanent homes for all the surivivors, now. ” I’m sorry I can’t be with you today. There’s never been a time when housing has been such an important issue for millions of people. We have a deepening housing crisis created by decades of allowing policy to be dictated by the market. Housing policy must be about providing homes for the many, not investment opportunities for the few. This weeks budget shows the government is not prepared to take the action needed to solve the crisis. Beneath the accounting tricks and spin, nothing they announced on Wednesday will guarantee that a single additional home is built. We need to change direction. A Labour government will invest in housing. By doing that we’re also investing in the next generation. So I want to see a return to building high quality, energy efficient council housing, with secure permanent tenancies and truly affordable rents. The post-war Labour government managed to build half a million council homes in five years. We need that scale of ambition again. But we also need to look at other aspects of the housing crisis. The situation for private renters is appalling, paying half or more of their income on rent, often for sub-standard, overcrowded homes and mostly only ever two months away from an eviction notice. Labour will give cities the powers to introduce rent controls, and improve the tenancy conditions of private tenants so they can plan their lives without constant insecurity. Regeneration under a Labour government will be for the benefit of the local people, not private developers, not property speculators. First, people who live on an estate that’s redeveloped must get a home on the same site and the same terms as before. No social cleansing, no jacking up rents, no exorbitant ground rents. And second, councils will have to win a ballot of existing tenants and leaseholders before any redevelopment scheme can take place. Real regeneration, yes, but for the many not the few.